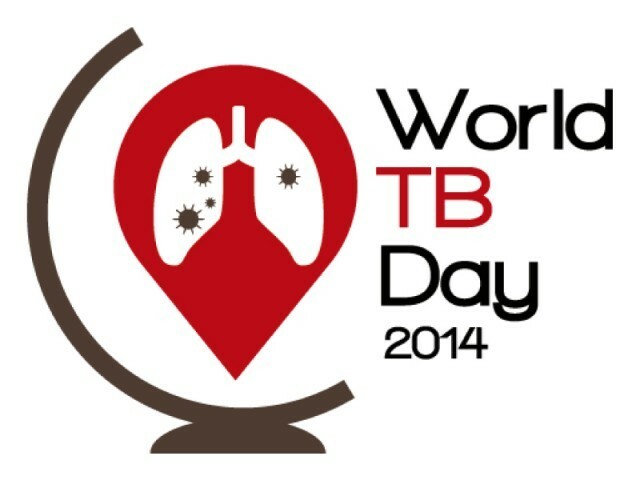 A day ahead of the World TB Day, we look at the difficulty level of treating the disease. Faces all around you are covered by masks, even your own, because the moment you enter the area you are handed a mask. All you can see is eyes. Some red and tired, swollen after hours of coughing and staying awake. Others more hopeful and healthier, obviously recuperating from a disease that can kill but can be easily avoided. One way of avoiding it is this simple face mask that wards off communicable diseases like tuberculosis (TB). The environment is airy and sunny. It has been designed in a way that germs will have a tough time surviving here. Scores of patients are waiting for their turn. Some are seen standing in queues and others napping on benches. This is the TB clinic at Indus Hospital Karachi. Muhammad Zaheer is currently under treatment for DR-TB here (drug-resistant TB). Despite months of treatment and counselling, he still repeats out loud the myth he believes in. “Ye hamari khandani beemari hai. It is a familial disease. My father died of it. Lots of my relatives have it,” he says in a matter-of-fact way. The middle-aged carpenter knew he had TB even before he got married, but never exercised any precaution. His wife’s family never thought it dangerous she would be marrying someone who has TB. His four children have never been tested for TB. Thus, lack of awareness remains a major challenge in the treatment of TB. “There are an estimated 300,000 cases of TB detected in Pakistan every year. Almost 20 per cent (58,000-60,000 kids) are children under the age of 15,” says Dr Ghulam Nabi Qazi, a public health scientist from WHO. The WHO website cites a higher number, stating that approximately 420, 000 new TB cases emerge every year and half of these are sputum smear positive. Pakistan is also estimated to have the fourth highest prevalence of multidrug-resistant TB (MDR-TB) globally. Pakistan ranks fifth amongst TB high-burden countries worldwide. “TB is common in both rural and urban areas, as it is a communicable airborne disease. Urban areas are crowded, leading to spread of TB. In rural areas there is more poverty; people can’t afford timely medical checkups and medicines and end up becoming victims of the disease,” says Dr Qazi. Clinical psychologist Zainab Bari is one of the first people TB patients meet at the Indus Hospital’s TB clinic. “Lack of awareness is a major problem. Unless people understand their disease, controlling it becomes very difficult,” says Bari. At the clinic she sensitises patients about how to avoid catching the TB germs. TB, contrary to myth, is not a genetic disease. It is an airborne, highly contagious droplet infection. Bari informs patients about facts like mothers with TB can breastfeed their babies, so long as their faces are covered by masks to avoid infecting the children. The same holds true for physical contact between couples, because TB is not a sexually transmitted disease. Counselling is also needed because of the stigma and discrimination against people with TB. People avoid TB patients, and sometimes the stigma leads to severe consequences like isolation and divorce. Yet, Pakistan’s progress in the control of DR-TB in particular is seen as something of a success story compared to many other regions of the world. “We somehow see a lot of female patients here,” says Dr Sana Adnan, who is one of the doctors at Indus Hospital treating TB patients. In Dr Adnan’s opinion, the reason is that women are generally not nutritionally well-fed in our patriarchal set-up and are hence more susceptible to catching TB due to low resistance. “TB is very directly related to food and a strong immune system. The doctors working with TB patients are advised not to come in contact with patients on an empty stomach, because if they have been eating enough, their chances of catching the germs are reduced.” The doctors here call it an informed decision to work with patients of this highly infectious disease. “At least we are aware of what we are working with and can take precautions. One could catch the TB germ anywhere in an enclosed space where people come in close contact, even at a shop you go to for shopping,” says Dr Adnan from behind her mask. Doctors estimate that most Pakistanis have been exposed to TB germs, but our immune system stops it from becoming full-blown TB. TB remains more common in the lower socio-economic groups. In easier words, it is a disease of the poor, very directly related to malnutrition and food insecurity. “One reason why patients willingly keep coming to us for regular treatment is because we provide food baskets to many of them, as well as vouchers for transport so that they can come to us even from far flung areas. This acts as an incentive. They are getting treated and their families are not going hungry,” says Dr Maria Jaswal, assistant clinical coordinator of the Susceptible TB Programme at Indus Hospital. Dr Amanullah Ansari, provincial technical officer for TB Control, Global Fund, shows guarded optimism when it comes to MDR TB in Pakistan. “Some 200,000 cases of MDR TB are still not in our fold and are undiagnosed in Pakistan; there are an estimated 55,000 in Sindh alone. But yes, there is success, because we have begun detaining MDR TB cases, and treating them. But till people keep going to quacks for treatment due to lack of awareness, our challenge remains,” says Dr Ansari. More than 30 per cent which is a whopping three million cases of TB remain undiagnosed worldwide. The WHO’s slogan currently is to reach these missed cases. Published in The Express Tribune, March 23rd, 2014. Posted in Health, Human Rights, Karachi and tagged DR-TB, MDR-TB, NTP, TB, The Indus Hospital, World TB Day, XDR-TB. Bookmark the permalink.